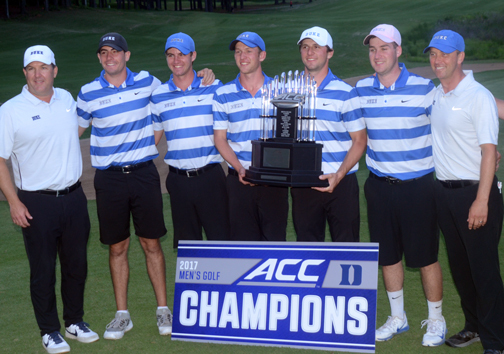 Duke won the ACC team championship. Clemson was second and Wake Forest finished third. There was never any question which team would win the ACC team championship, but the battle for the individual title went down to the final hole and then into a playoff. Duke jumped to the lead in the first round and ran away from the rest of the field to record a 12 shot victory over Clemson for the schools seventh league title. With the victory the Blue Devils swept to both the men’s and women’s titles this year. The competition to see who would be the tournament medalist was much closer. At the end of regulation play four golfers were tied at 5-under par. Bryson Nimmer of Clemson, Jimmy Stanger of Virginia, Ben Griffin of North Carolina and Paul McBride of Wake Forest all finished the 54 hole event with a score of 211. 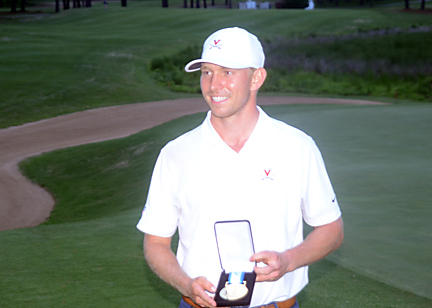 Jimmy Stanger of Virginia made a 12 foot birdie putt in a playoff to win medalist honors at the ACC Championship. ACC officials moved up the final round of the tournament to Saturday because of the prospect of bad weather on Sunday. 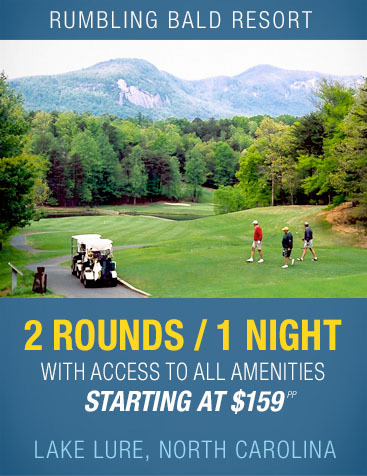 Golfers had to play the difficult Musgrove Mill course for 36 holes in a single day. Near the end of the long day Griffin and McBride had posted their scores and waited to see if anyone on the course could catch them. Stanger set off a roar from the crowd when he birdied his final hole to tie the other two golfers. Nimmer was the last player on the course with a chance to win. He got to 5-under par with a birdie on number 13. First round leader Bryson Nimmer from Clemson lost to Stanger in a playoff for the individual title. The first round leader had two chances on the final two holes to avoid a playoff and take the win. His six foot birdie putt on the 17th hole just drifted outside the cup. On the 18th his putt was a little longer, but had the same result. “I think I just over read each of the putts,” said Nimmer. “I just pushed it a little and missed them both. I didn’t feel any pressure I just didn’t make them,” he said. After Nimmer’s miss on 18 the playoff was set and the four golfers went back to the 18th tee as daylight started to fade in the early evening. On the playoff hole, Griffin and McBride missed the green. Nimmer’s ball stopped about 8 feet from the pin and Stanger’s second shot left him with an 12 footer for a birdie. Griffin and McBride both came close to chipping in. Stanger had the next chance and he rolled his putt into the center of the cup for a birdie. 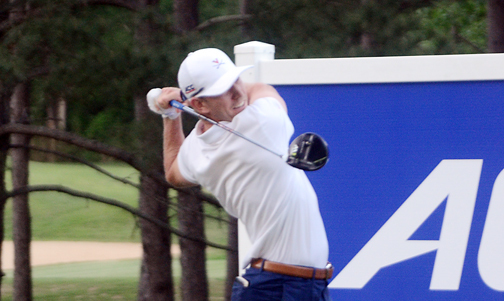 Jimmy Stanger is the third golfer in Virginia history to win the individual title at the ACC Championship. “I was more nervous on my 18th hole than I was in the playoff,” he said. 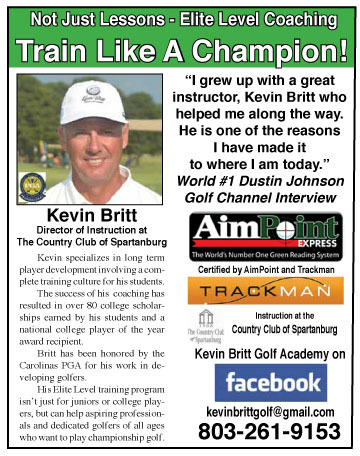 “I didn’t know I was within one shot until just before the putt on 18 (9th hole at Musgrove Mill). I needed that one to get into the playoff and once the playoff started I was at ease,” Stanger said. “I wasn’t nervous,” said Nimmer. “I had hit it close all day and I just kept thinking that I was going to make one of them, but it never happened,” he said. Stanger, a senior at Virginia, had a tournament win early in the fall and was ranked as high as second in the Golfstat poll, however he had been disappointed with his overall play this year. “This year has been very up and down with my game and this event is the first time I have really felt comfortable out there,” said the champion. “To make the 12 footer in the playoff to win, is a dream come true. You dream about that every day,” he said. 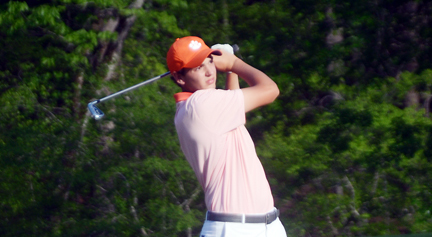 Nimmer, a Tiger sophomore, improved on his fourth place finish in the ACC tournament last year, but missing a chance to win was a major disappointment. “I will take something from this tournament to use in the future, but right now I am not thinking about how well I played. I’m disappointed I lost,” said Nimmer. 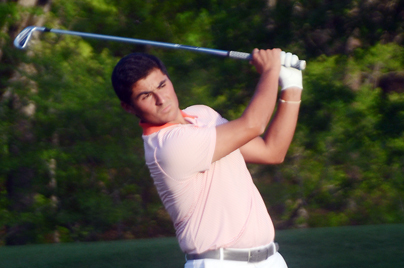 Freshman William Nottingham finished 10th in his first ACC Tournament. Clemson was never able to make a run at the Blue Devils. The Tigers were handicapped by the absence of senior Austin Langdale, whose injury may very well keep him from helping the Tigers in the upcoming NCAA Regionals. Josh Fickes filled in for Langdale at the ACC and struggled. “Four doesn’t beat five and we were playing with four,” said Clemson coach Larry Penley. 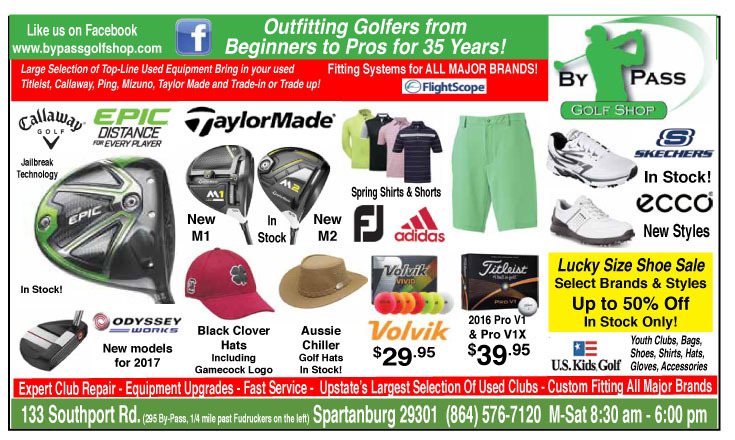 “If you had told me (freshman) William Nottingham would finish 10th in his first ACC tournament and Bryson was going to tie for the low medalist and we would beat Wake and Virginia I would have told you to put the trophy in the van. There really wan’t anything we could do about what Duke did. They just played fantastic golf” said Penley. Clemson now has three weeks to get ready for the NCAA Regionals and finding a fifth golfer to team up with Carson Young, Doc Redman, Nimmer and Nottingham is Penley’s first priority. ” We have got to find a fifth man and a way to play a little better,” concluded Penley.